Gulsum Ciraci has extensive experience in entrepreneurship in Turkey. She developed the first research activities on entrepreneurship. The books published by these activities include the findings on effects of entrepreneurship on unemployment and entrepreneurship climate in 9 Turkish cities. She was given a social responsibility award when she developed a project locating Istanbul based technology companies to different incubators in Asia Minor. She also helped creating four incubators just for women. She developed the largest entrepreneurship training project, where she trained more than 8000 people. 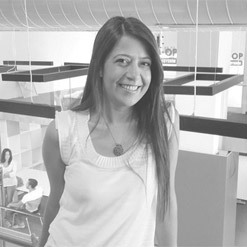 She also co-created a first project for entrepreneur seeding with Avea, a major mobile operator in Turkey. Gulsum Ciraci is a managing partner in Startupbootcamp Istanbul. She is also the founder and CEO of Istanbul Angel Investor Center (IMYM).